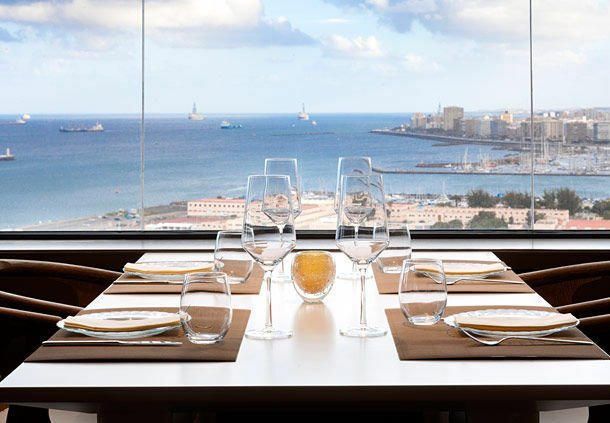 The AC Hotel Gran Canaria Las Palmas is clearly visible when you enter the city of Las Palmas. 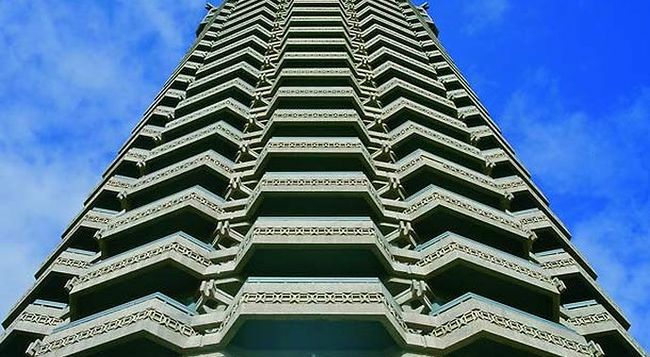 You can’t help but notice this high tower with its similar characteristics to Italy’s Tower of Pisa. But without the lean! 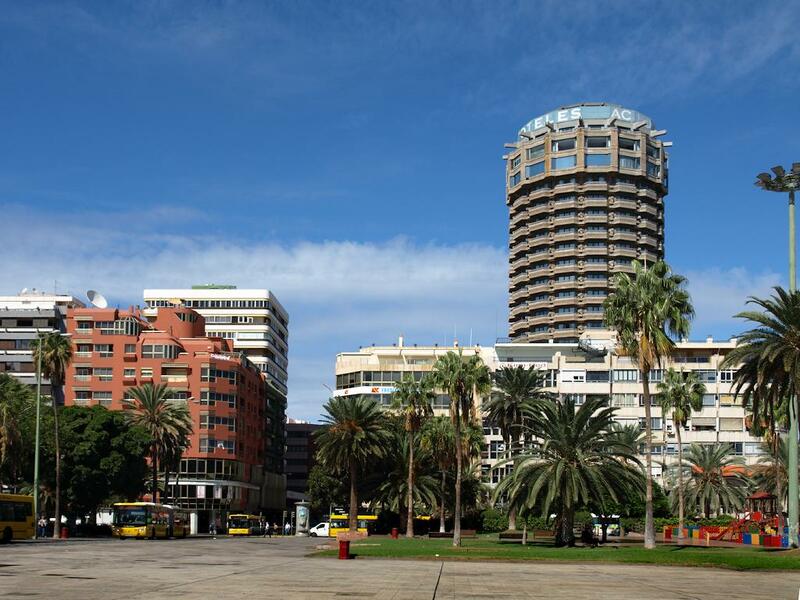 This very tall cylindrical building is known as the AC Hotel Gran Canaria by Marriott. 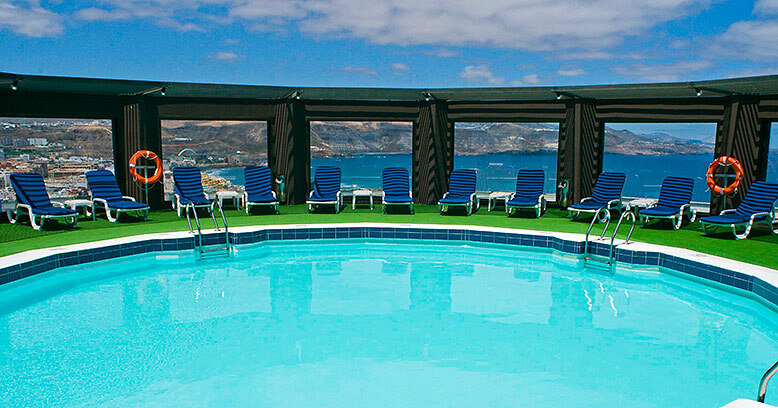 From the very start of your vacation, staying at the AC Hotel could not be easier. 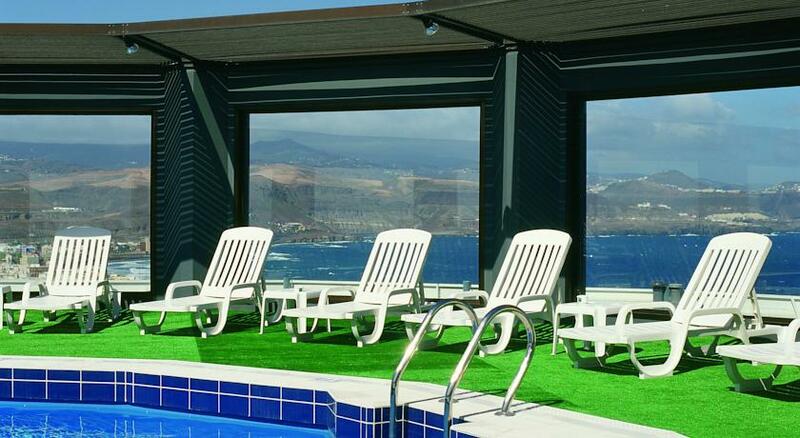 There are currently only two AC Hotels in Las Palmas city. If you are arriving by plane, you are entitled to travel in the free shuttle bus directly to the hotel. 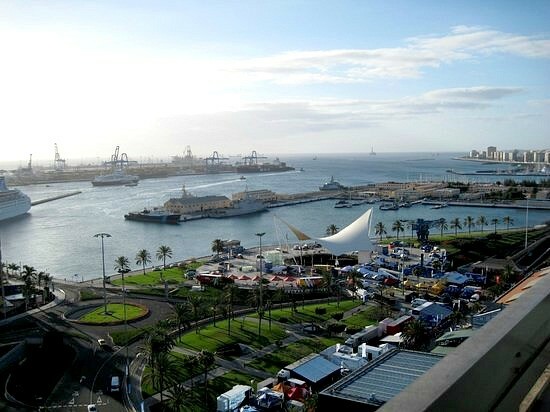 The AC is located literally on the side of the Santa Catalina park and opposite the El Muelle shopping centre. It is a 2 minute walk to the Santa Catalina bus terminal. 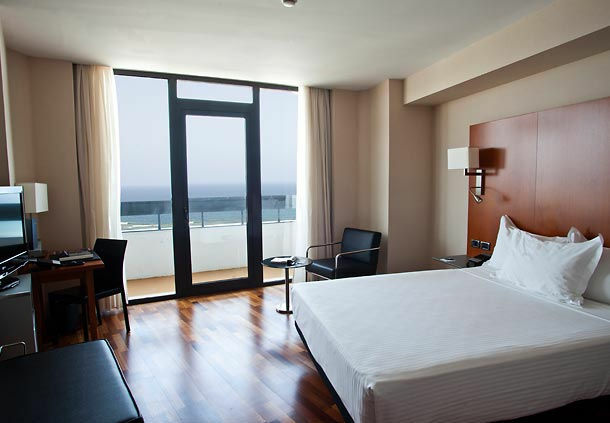 With only a 5-minute walk to Playa de las Canteras the hotel is a great base to get around the city either on foot or by public transport. The views from the rooms on the 13th floor and above are spectacular. The best panoramas can be admired from the three top floors, which are the 19th, 20th and 21st. 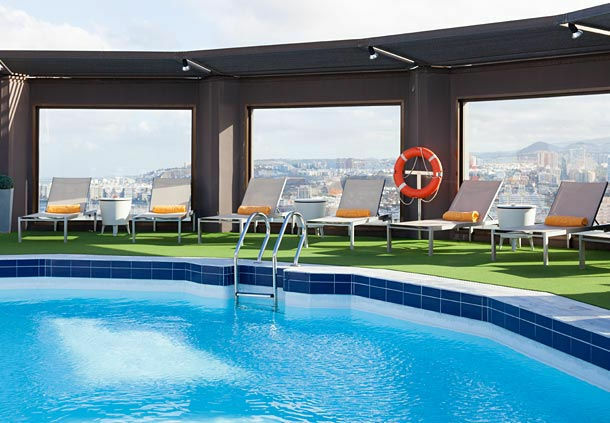 On the roof top of the AC Hotel Gran Canaria is a circular swimming pool surrounded by sun loungers and umbrellas. This makes it the highest swimming pool in the city. 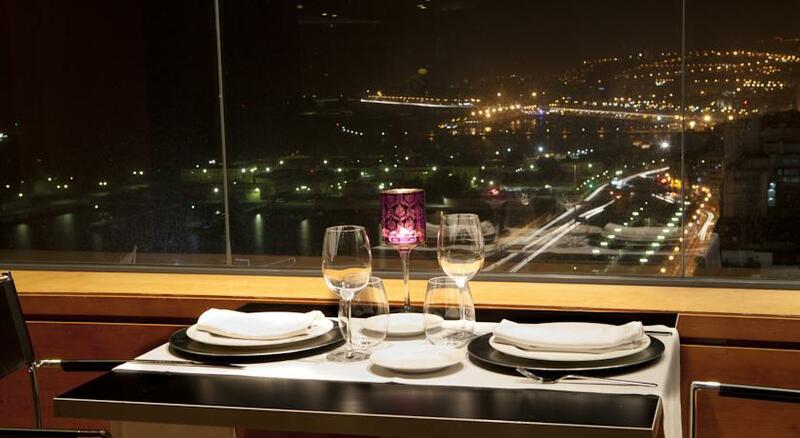 One floor down is the highest suite bar and restaurant, with views not suitable for people with vertigo. 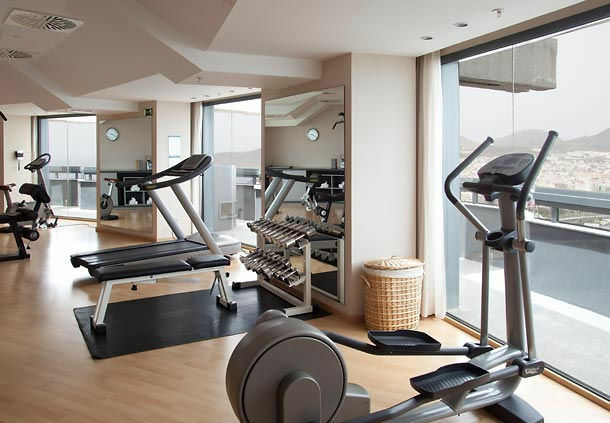 Even the fitness studio has breathtaking views. 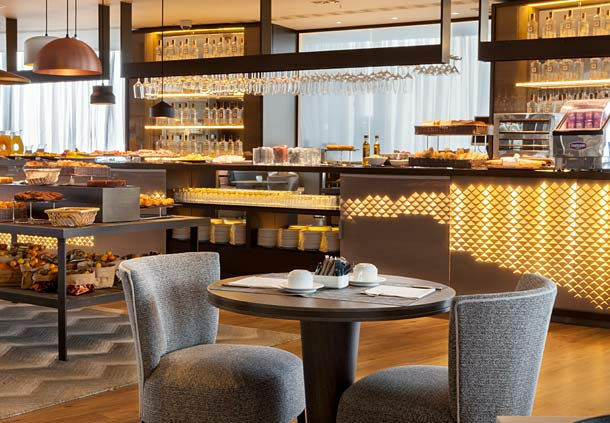 The accommodation at the AC Hotel are fairly spacious, well dressed and come with all the common amenities. 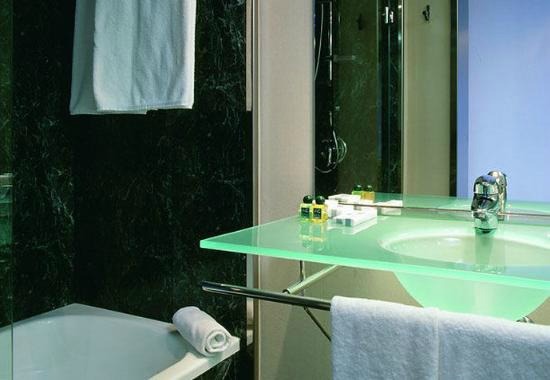 In each room you will find a mini-bar, flat screen TV, safe, desk and chair, telephones and a private balcony boasting great views over the city. The hotel has stylish wooden flooring throughout, and they also have a pillow menu allowing you choose what type of pillow you want for your stay. The 24 hours room service will make your stay complete. Seven different meeting rooms make this hotel ideal for a wide variety of events from small business seminars to big wedding banquettes. WI-FI is available in all public areas of the hotel, in the room it comes with a daily fee. Private parking is available at a nearby location also at an additional charge. This is a really nice hotel. It is central to the city and suits all social and travel needs. I have stayed here many times mainly because I like the views and secondly for its central location. 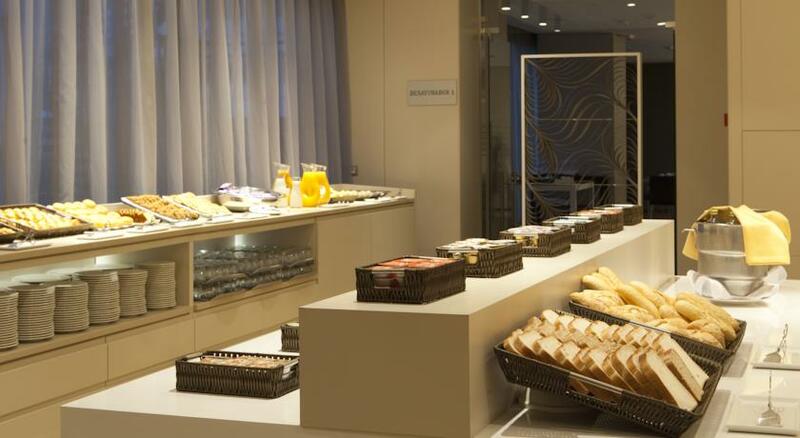 The restaurant serves a rather complete buffet breakfast daily which gives you plenty of energy for a day out in the city. 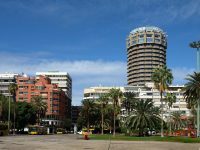 Lots of great bars and cafés just outside in the Santa Catalina park or on the Las Canteras beach front provide you with an alternative to eating in the hotel. 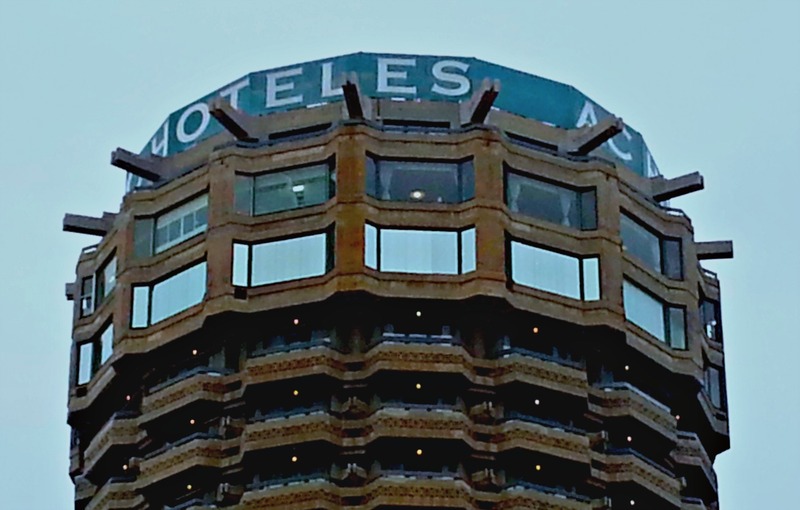 Click on the buttons below to get more information, images and impressions of this hotel.